Genealogy is a wonderful hobby isn’t it? Exploring your ancestors and finding all that you can about them can be so rewarding. The products and services delivered to you by Legacy Family Tree can help you greatly with your research as I will show you within this review. You have probably arrived at this post because you have heard about this genealogy software program, courtesy of Legacy. And you may have read that it is currently regarded as the best around for anyone interested in building and researching their family tree. I have already reviewed before on this site the software that is offered by this company, and as well the library of video webinars where you can get expert genealogy help. The benefits that these two bring I have thoroughly explored, but I will briefly discuss these two again here in the post below. There is though more available from Legacy as I will discuss here. So, if you want to learn how to get the most from Legacy and watch your family tree grow then please read on. There are links to my full reviews for both the software and webinars within both these sections. This software as I mentioned above is the best on the market today, which can be purchased as a CD or downloaded directly to your computer. The beauty of this second option is that you can start creating and building your family tree straight away. One of the main reasons for this I believe is because it offers a lot of different charts for you to display your family tree. As I have found this is something vital to any genealogist as you can clearly see within a diagram how much family history research has been conducted, and where you can next focus your attention. Besides charts, you can create reports and maps showcasing the migration of your ancestors. You can also attach hashtags to your relatives as well as color code them too, (which makes it easy for you to identify different branches of your family). Modern programs these days will allow you to connect with various genealogy search websites. The benefit of connecting to these sites is that they contain millions, if not billions of records about your ancestors. You can therefore use these sites to build your family tree even more as you find details about your ancestors through the records. Legacy allows you to connect with FamilySearch and Find A Grave, which are both FREE. And you can also connect with FindMyPast, Genealogy Bank and MyHeritage, which are paid sites. Get help along the way! Help and support is also available from Legacy by their FAQs section, User Groups, as well as by email. So, if you do get stuck, (which inevitably happens to any family historian), then you do not need to worry as there is help at hand. The interface is basic but don’t let this fool you, it is quite a powerful piece of software. And the benefit of the simple design is that you will not get distracted with colorful buttons and features popping out at you. You can just get on with your research and build your tree without any of these distractions. 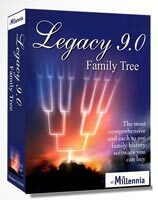 Please check out my Full Legacy Family Tree Software Review for more information on what this program as to offer. Not only do Legacy provide a high-quality program for you to create and research your ancestry, but they also offer a staggering 550 videos for you to access through their webinars program. Access to these videos is available to you through two different packages, which I will discuss later. All of these videos are presented by genealogy experts, 147 of them to be exact. Experts include Lisa Louise Cooke and Amy Johnson Crow who are both well-respected within the genealogy field. 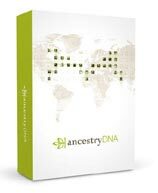 By watching the webinars in this collection you will surely gain helpful tips and valuable advice that you can use to learn more about your ancestors. And as well as getting the information that you need to research your ancestry you also have access to the instructor handouts and the live chat logs for every webinar. Please check out the Legacy Family Tree Webinars homepage for more information on what is available. Or, you may wish to read my Full Legacy Family Tree Webinars Review where I give my opinion on all that the webinar collection has to offer. There is an Upcoming Live Webinars section on the site where you can view what webinars will be showcasing over the coming months, usually up to 4 months in advance. You can easily register for these upcoming webinars. Registering for these webinars is a great way for you to be notified when they are about to start, so you won’t miss out on them if you forget about them. The other benefit is that registration is completely FREE! Through this section you can check out what these webinars are all about, who is going to present them, and what date and time they will start. These videos are listed within the many various categories that I listed above. You just go to the category that interests you, where you will be presented with all the videos within the category that you have chosen. Just click on any video that you think will be helpful to you. There is a brief write-up about what the video will discuss as well as details about who is presenting the video, how long it will last, what skill-level it is aimed at and when it was recorded. When it comes to joining the webinar program there are two options available to you, either the Monthly Membership or the Annual Membership. *From the Legacy Family Tree Store you can buy the latest version of the genealogy software program, check out the Webinar Packages, or see what books and guides, add-on software, QuickGuides, Mobile Apps, and Wall Chart Printing services are available. The Monthly Package is currently priced at a low $9.95, where the suggested price is actually $12.95, so you are saving $3.00 by choosing this option. You may want to select this option if you want to just test it out and see whether it is right for you. You can always sign up for the Annual Package later if you wish. The Annual Package is priced at a very reasonable $49.95, where the suggested price is $79.95, which gives you a $30.00 saving. This particular package will save you $81 per year than if you were to stick with the Monthly Package for an entire year. In my opinion I do believe that both of these options are generously priced as they contain so much advice that you can use. That is of course you use your membership to the max and watch as many webinars that will help and benefit you. As I mentioned above regarding the two membership packages you can view the available webinars at any time, whether it is day or night. Whatever is convenient for you. You just log on to the site and search for the video that you are after and start watching. You may though want the video to be stored on your computer, which will save you from logging on to the site each time that you want to watch it. You can do this by checking out the Webinar Digital Downloads section of the site. These videos are priced at $9.95 each, which again I feel is reasonably priced. Besides quick access to the videos there is another benefit of downloading a video to your computer. Not only can you watch the same video over and over again but you can do so even after your Legacy membership has expired. So, you don’t have to subscribe to Legacy if you just want to watch one particular video as you already have it on your computer. Another great service that is available to you is the News Blog where you can read the latest genealogy news, get technology tips and Legacy tricks as well that you can use to get the most from the software program. Discussions on Upcoming Webinars can also be found within this section of the Legacy site, so you can see what’s coming up and whether it will interest you. Blog posts are usually published daily, where you can sometimes find multiple articles posted per day. This section of the Legacy site is very well maintained in my opinion. Even though the interface for the software program may look a little dated that hasn’t stopped Legacy from joining the Social Media Revolution. Legacy have their own Facebook, Google+ and Twitter accounts which you can like and follow. The posts that are shared across these social platforms will be the same as the posts on the News Blog section of their site. If you have already joined these networks then why not join the many thousands of followers and follow Legacy. By joining, you will conveniently see how Legacy can help you with your genealogy research. Besides being socially active online Legacy also have their very own YouTube Channel. There are over 100 videos that you can watch on their channel, where these videos run for a couple of minutes right up to about 20 minutes or so. There are some though that last 45 minutes, and there are a few that run for 90-120 minutes. The oldest videos I have found on the channel are from 6 years ago where the most-recent one is 8 months old. The oldest videos are still relevant. So, the channel is not updated as much as their social media accounts but don’t let that bother you as you can still get some valuable tips, tricks and learn strategies through these videos. Most of the videos you will find on the channel will help you with using the Legacy Family Tree software program. If you already have the program installed on your computer then why not check out their YouTube channel to get some helpful guidance. Or, if you want to learn more about the program then check out what it can offer you through these videos. You are getting expert help from the people who bring you the Legacy software and webinars through their social media accounts and YouTube channel. And the real benefit is that the help is completely FREE! I hope you enjoyed reading this post showing you the many products and services offered by Legacy Family Tree. If you have any questions or comments then please leave a comment below. Hey Owain, I’m ready to get started again discovering my family tree but need your advice on the best software for a newbie to get involved. Years ago I started with a software package, only to be subject to a sequence of upsells in order to progress. I became disillusioned, however, reading through your informative review, sounds like these new software packages are more streamlined and seem pretty straightforward. What software package doesn’t involve a load of upsells and which one would you start with if you were starting again? Thank you for the comment and query. 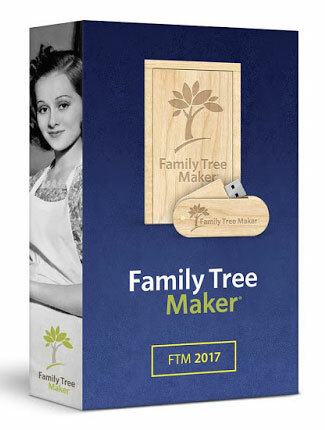 I started off with Family Tree Maker, as it is one of the popular programs around today. Since starting this genealogy website, (over 2 years ago now), I have explored various other programs. And I have found that each of them cater to the different needs of the genealogist. You can check out my Best Genealogy Software Programs post where I give an overview of the top 5 programs that are available today. Legacy Family Tree though is the number one program of choice so I do urge you to check out that review and see if it ticks all your boxes. Thank for replying Owain, the Legacy Family Tree maker did initially capture my attention, thanks for embedding the video too, I will check out the feedback. You’re welcome. It is a short video. My top 5 post also features video for each of the software programs that I review. You’re welcome Vicki. I am glad that you liked it. Yes and please come back as I plan to add more reviews looking at various resources to help anyone interested in researching their family history.